3. Mix in vanilla extract. 4. Mix in flour gradually. 5. 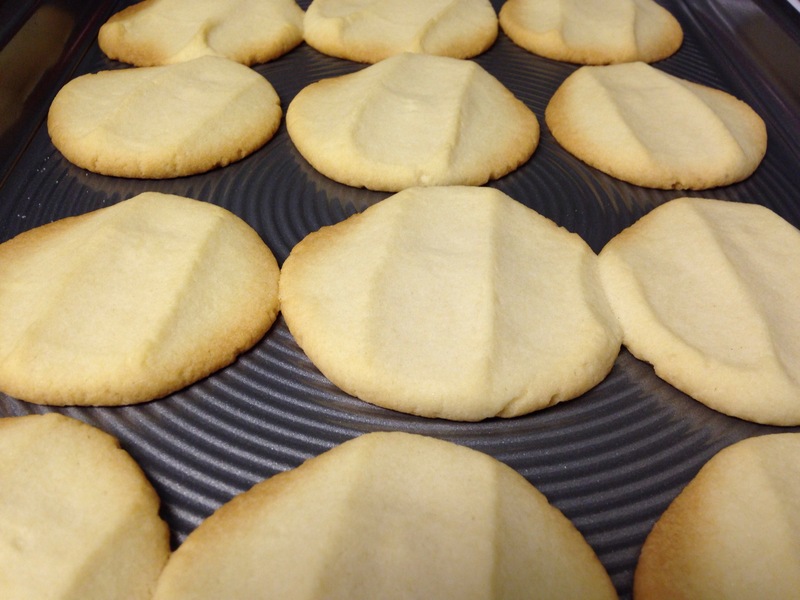 Using a small cookie scoop, roll dough into balls and slightly flatten on ungreased cookie sheets. 6. 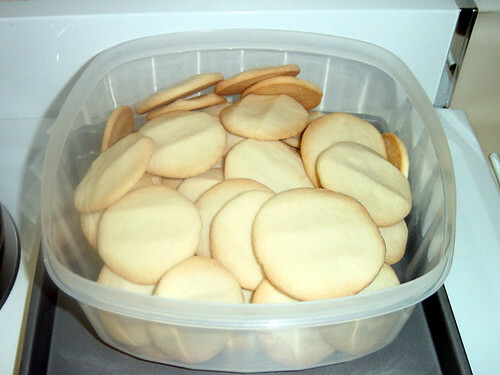 Flatten cookies with the bottom of a glass dipped in sugar if desired. 7. Bake until golden brown (approximately 12-15 minutes. 8. Makes about 2 dozen. Cream butter, gradually add sugar, creaming until light and fluffy. Sift flour with baking powder and salt. Add eggs one at a time to creamed mixture, beating well after each addition. Add flour mixture alternately with milk and flavoring, beating after each addition until smooth. Add package of French Vanilla pudding, and bourbon and mix well together. Pour batter into a greased 12-cup bundt pan. Bake at 350º for 55 minutes. Cool in pan for 10 minutes then remove and place on a wire cooling rack with wax paper under and let cool before putting on the glaze. Melt butter in saucepan until lightly boiled (do not overheat). Add powdered sugar slowly with a wire wisk then add granulated sugar. Once dissolved under low heat, add brown sugar. After the brown sugar has dissolved, add Karo syrup. Keep stirring with wire wisk. Bring to a light boil. Add bourbon and bring to a boil while stirring with a whisk. Remove from heat and wisk in the vanilla extract. Add more powdered sugar or use less bourbon for a thicker glaze. Drizzle and brush the glaze over the cake. Continue to brush the cake with glaze that has ran down the side. Let dry and serve. I use a measuring cup to put all the ingredients then mix with an electric hand mixer to get the glaze to the thickness I desire. Place wax paper under wire rack. Place cooled cake on the wire rack and pour glaze over cake until completely covered and let it dry. 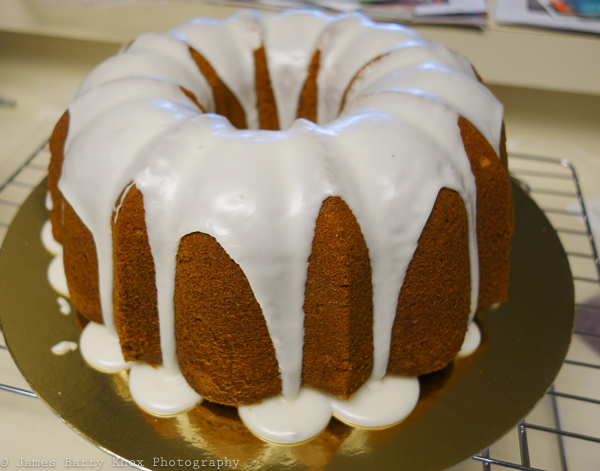 I started making this cake a couple of years ago after having a slice of Charlie Frank’s Key Lime Pound Cake. 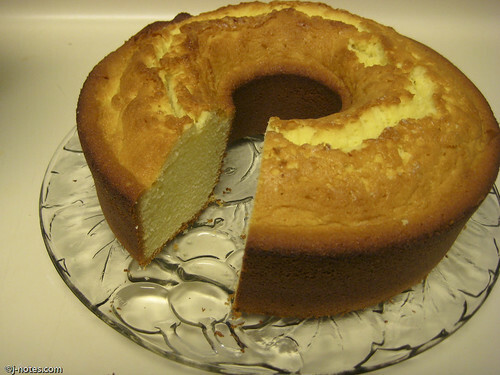 I adapted this recipe from this Lime Cream Cheese Pound Cake recipe. The 10 cup Fleur-de-Lis cake bundt pan makes for a lovely presentation but the 12 cup bundt will hold all the batter. I used 3 sticks of butter instead of 2 1/4 sticks. I also doubled the amount of sugar and lime juice for the glaze because I am a little heavy handed with my brush. Have all ingredients at room temperature. Position oven rack in lower third of oven and preheat to 325 degrees F (160 C). 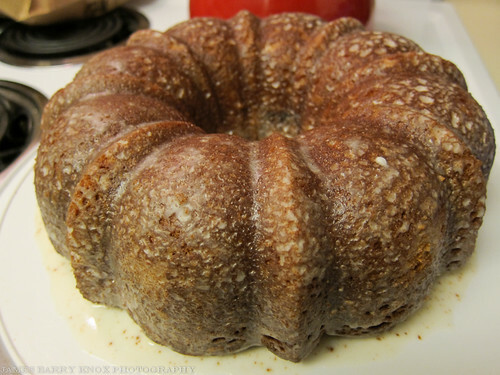 Grease and flour a 9 or 12-inch bundt pan or Fleur-de-Lis* cake pan. Sift together flour, baking soda and salt, set aside. With an electric mixer, fitted with a flat beater, beat butter and cream cheese at medium speed until creamy and smooth, about 30-40 seconds. Add 3 cups of the sugar and beat until light and fluffy, about 5 minutes, stop mixer and scrape bowl occasionally. Add eggs, 1 at a time, beating well after each addition. Beat in vanilla and 3 tbsp. lime juice (or regular fresh squeezed lime juice). Reduce speed to low. Fold in flour, baking soda, and salt mixture in 3 additions, blending each addition just until smooth, stop mixer and scrape bowl occasionally. Fold in lime zest. Spoon batter into prepared pan, making sides higher than in center. Bake until cake is golden, and a toothpick inserted into center comes out clean, about 1 1/2 hours. Cool upright in pan on rack for 10 minutes. Invert cake onto cooling rack with waxed or parchment paper placed underneath rack, and glaze. In a small bowl, whisk 1/2 cup fresh lime juice and 1 1/2 cups sugar until blended. Set rack over a sheet of waxed paper, Generously brush cooled cake with glaze. After glaze has set; approximately 10 minutes, lightly sprinkle cake with confectioners’ sugar. Nordic Ware’s Fleur-de-Lis cake pan can be purchased at Nordic Ware’s website at: http://www.nordicware.com. I am always amazed by number of people who will visit my website over the next week for dessert recipes as we all prepare for Thanksgiving. Thank you so much for stopping by. I do not get to update this site much but it holds its own. I am wishing you and yours a Happy Thanksgiving and good baking!!! Please send me some of your favorite recipes and I will post them. Enjoy!!! I made a couple of pound cakes for a friend’s mom in late winter. I delivered them and she told me that I needed to learn how to make a lemon icebox pie. Being a baker who does love a challenge, I researched on the internet and found a recipe that I liked. It was really simple to make and no baking was required. I made a couple for Easter and a few during the summer. 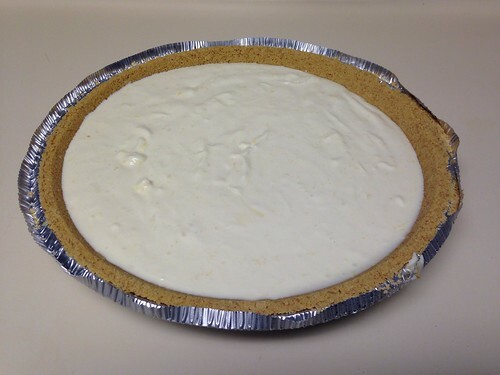 However, the photo above is the last lemon icebox pie for the year. I made it for my friend’s mom who inspired me to learn about lemon icebox pie. I took it over to her and she was totally surprised and quite pleased. She said it was her favorite dessert. That truly warmed my heart. I used Emeril Lagasse’s Lemon Icebox Pie recipe as shown below. Combine the cream cheese, milk, lemon juice, lemon zest, and vanilla in a large bowl. Mix on medium speed until smooth. Pour into the pie crust. Refrigerate overnight. Note: I actually froze mine overnight then put it in refrigerator a few hours before serving so it would still be firm. I want to try it with limes too! In a separate bowl, mix together your filling of cinnamon, brown sugar, and finely chopped pecans and set aside. 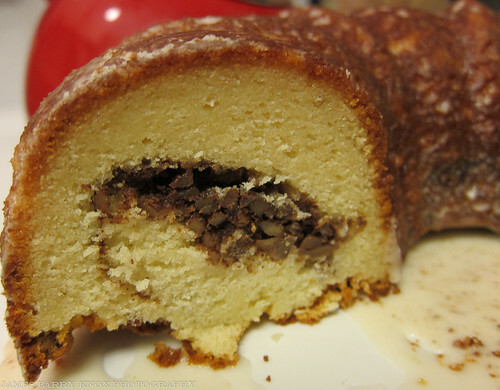 Pour 1/2 of batter into your greased Bundt or tube pan. Pour dry mixture on top of your batter. Pour remaining batter over the dry mixture. Bake for 1 hour. Test with a toothpick and make sure it comes out dry. Let cake cool for 25 minutes then invert onto wire rack to continue cooling. Mix together and drizzle and brush over cake. Adjust glaze to your liking. Editor’s Note: This recipe is special to me because my mother made this cake for our family when I was child. It is also one of the first cakes I made when I was a teen. We used boxed cake mix for this cake originally. I was unable to find a Sock It To Me cake recipe from scratch that I liked so now you have one! Enjoy!!! Cream butter, cream cheese, and sugar. Add eggs, flavorings. Triple sift flour and remeasure 3 cups. Blend into creamed mixture. Bake in a tube pan or angel food pan at 325 degrees for 1 1/2 hours. Easy, huh? One more thing, after you have your batter in the pan, take a butter knife and make a circle around the center if you using an angel food pan or a straight line in the center if using a tube pan. * If Vanilla Butter and Nut Flavoring is not available in your area, use 1 extra teaspoon of Vanilla and 1 extra teaspoon of Butter flavoring instead. Also, for a change, you can substitute the 1 teaspoon Lemon extract with any extract of your choice like rum, brandy, almond, pineapple, coconut or orange. This recipe was passed down to me from my co-worker, Mary. This was my first cake of 2010. 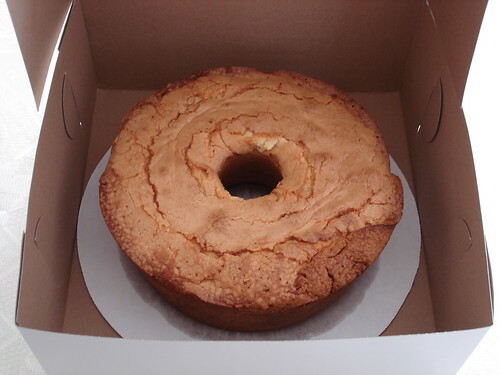 The cold oven pound cake gets its name because you do not preheat the oven as you normally would for most cakes. You combine our ingredients, poured them into a tube pan, place it in the oven, set the oven to 325 degrees, and bake for 1 hour and 25 minutes. It turned out well but next time I will use room temperature eggs so the cake will rise better. Just in time for the holidays. This recipe is really simple to prepare and the taste takes you back to your elementary school lunchroom. Cream butter and sugar together. Add flour a little a time. Form dough into small balls and flatten with a fork or by hand. Bake at 325º until lightly brown…. About 15-20 minutes. Recipe provided by my baking buddy, Billy. You are currently browsing the Food/Recipes category at Simply J Life.